With the greatest rain laboratory in the country right outside their doors in Portland, Oregon, ShedRain has been driven to make the best, most durable, most innovative umbrellas since their founding in 1947. ShedRain takes great pride in what they do and works hard to keep true to the founders’ ideals. Confident in their engineering, styling and functionality of products, ShedRain fully backs them up with a lifetime warranty on all umbrellas. ShedRain is grateful to be the oldest and most honored umbrella company in the U.S., leading the industry in design, innovation, and customer care. ShedRain brings together luxury, artisanal craftsmanship and superior engineering to create the finest quality umbrellas in their new status-defining Stratus Collection. Five years in the making, the ShedRain Stratus Collection offers the highest-grade umbrellas ever produced for retail. The utmost level of exceptional detailing, refined aesthetics and technical innovation were incorporated into this collection – a true reflection of ShedRain’s heritage and ongoing dedication to design excellence. Stratus is composed of 250+ individual, quality parts, hand assembled, and created from new molding that was specifically crafted for this ultimate “affordable luxury” piece. A Trilobe™ shaped profile deployed into both the shaft and ribs for superior torque and strength defines the Core technology. The design is reinforced with the finest precision Aircraft Aluminum and Fiber Reinforced Polymer frame, a Zinc Alloy chrome detailed handle and fine fabrics coated with Teflon®. 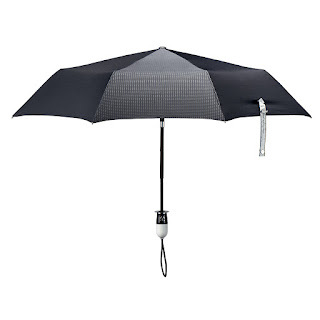 A patented Flange (small disc at the base of each umbrella) protects umbrella tips from catching on fingers, clothing and other items. A removable handle strap makes it versatile and easy to carry on the go. Each umbrella is enclosed in a freestanding canvas case, with self-fabric lining - perfect for gifting. The collection features a Compact Manual Umbrella, a Compact Auto-Open/Auto-Close Umbrella, a Manual Stick Umbrella and a Manual Stick Solid Wood Crook Umbrella. Handle colors are available in black, white or a combination of black and white. 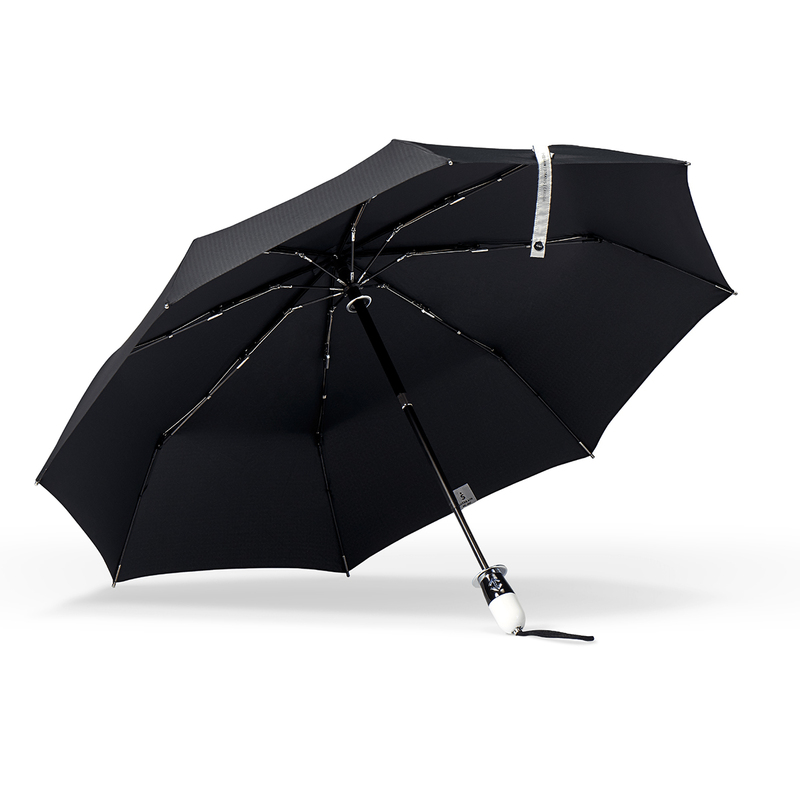 ShedRain umbrellas not only protect you from the elements, but allow you to be fashionable at the same time. The Auto-Open/Auto-Close feature makes operation a breeze! No need to worry about pinched fingers or fighting to get the umbrella open! The Stratus is reinforced with precision Aircraft Aluminum and Fiber Reinforced Polymer frame. The handle has chrome detail from zinc alloy that makes it have a slick look! Each Stratus umbrella comes in a fabric case which makes it perfect for gifting this holiday season. As the oldest and most honored umbrella manufacturer in the country, the third-generation, family-owned ShedRain company offers a quality collection for the whole family. 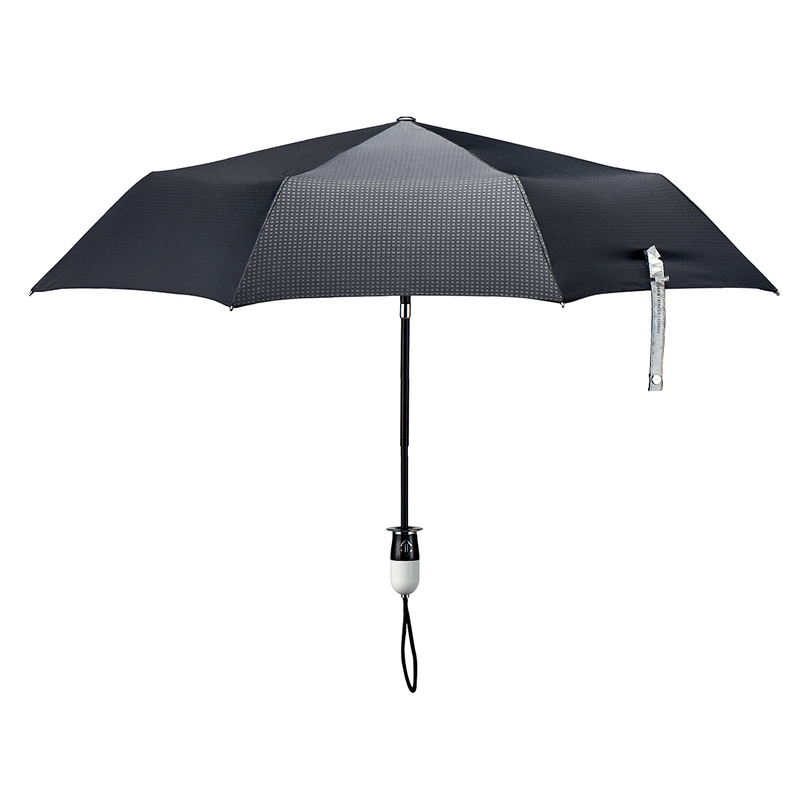 Give your loved ones the gift of style and protection, with ShedRain's finest quality umbrellas, perfect for the sophisticated, weather-savvy or tech enthusiast family member.